The barbaric so-called sports carried out in past centuries are justly condemned by today's more compassionate society. Odious pastimes like bear- and bull-baiting are rightly stigmatized, with the wretched captive victims receiving deserved sympathy. And, whilst that has my full support, it doesn't seem right to me to accord no compassion towards the unfortunate dogs involved. 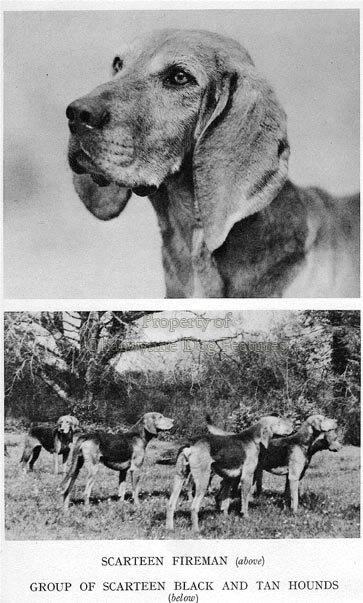 These dogs were employed, trained, encouraged and let loose by men; far more dogs were killed in the baiting rings than either bears or bulls. 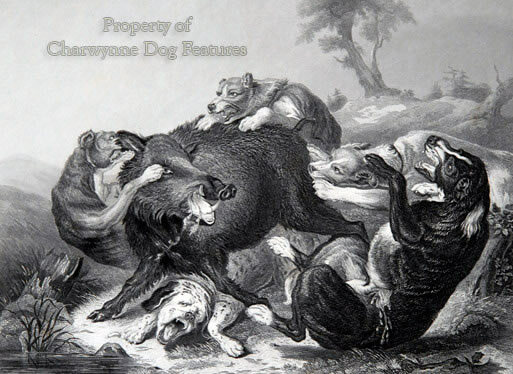 If you read the arguments used in Parliament in the 1830s to persuade the House to ban the baiting of animals with dogs, no speaker spoke up for dogs and their suffering in such repulsive contests. A similar lack of sympathy towards dogs existed in the hunting field, especially in the boar hunt. Historians list the appalling totals of quarry killed but never the number of dogs which lost their lives in such hunts. Elector John George I of Saxony (1611-1656) held hunts in which nearly 32,000 wild boar were killed; his son only managed 22,000 in his lifetime! But it is likely that several dogs died for every boar. There was an old German expression which translates as 'if you want boars' heads you have to sacrifice dogs' heads'. The scale of hunting in the 17th and 18th centuries was quite staggering: on the 12th of January 1656 on Dresden Heath, 44 stags and 250 wild boar were killed; in Moritzburg in 1730 the haul was 221 antlered stags, 116 does, 82 fallow bucks, 46 fallow does and 614 wild boar. It may well be the case that on Dresden Heath on January the 12th 1656, several hundred dogs died in the hunting conducted that day. A wild boar is a fearsome adversary, its speed in the charge is like lightning, their tusks can rip through the flanks of a dog and its underbelly with devastating effect. 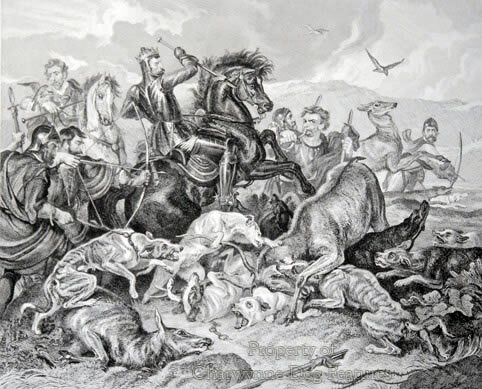 In his 'A Month in the Forests of France' of 1857, Grantley Berkeley related how one old boar at bay killed or rendered hors de combat 14 of the 18 hounds attacking it. He considered this a higher canine casualty rate than usual but expressed no surprise at the fact that dogs were routinely killed in such a hunt. The attitude towards the recklessly brave dogs which closed with the wild boar at bay is aptly summed up in The Master of Game of 1388: "They are almost shaped as a greyhound of full shape, they have a great head, great lips and great ears, and with such, men help themselves well at the baiting of the bull and at hunting of the wild boar, for it is natural to them to hold fast (i.e. seize and hold) but they are so heavy and ugly, that if they be slain by the wild boar it is no great loss". A comparable lack of compassion is seen in the use of dogs to bait animals for the amusement of spectators. Hentzner, in his 'Itinerary' of 1598, provides this description: "There is a place built in the form of a theatre, which serves for baiting of bulls and bears; they are fastened behind, and then worried by great English bulldogs; but not without risque to the dogs, from the horns of the one and the teeth of the other; and it sometimes happens they are killed on the spot; fresh ones are immediately supplied in the places of those that are wounded or tired." Baiting dogs were clearly regarded as expendable, valued even less than the wretched baited quarry. 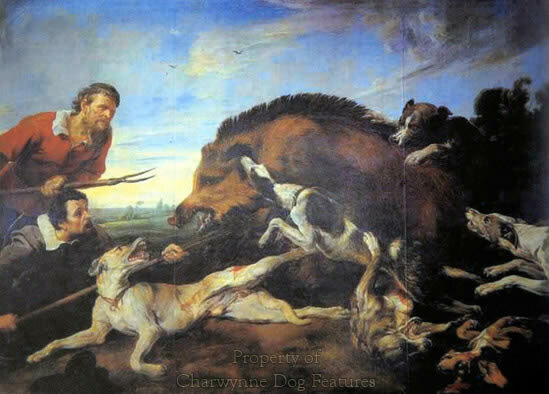 The hooves and horns of bulls and the claws and teeth of bears must have accounted for around ten times the number of dogs as their target in the ring. Little is made of this canine sacrifice and suffering, if anything the formidable dogs involved are often blamed for their participation, as if they had a choice. Whether it is lion-baiting, auroch hunting, the staging of exotic contests between dog and hippopotamus or dog and ostrich, public sympathy has been urged towards just the quarry. But dogs are victims too in such human-instigated activity. For every dog killed in such 'combat', another is cast into the fray. The injuries sustained by dogs in such cruel activities are hardly superficial; a lion can tear a dog to pieces, an auroch's horns can rip a dog in two, an ostrich can shatter a dog's skull with one well-aimed kick. Even a smaller native animal quarry, like the badger, can all but severe a terrier's head with its powerful jaws. I have immense sympathy for the badger, which has every right to defend itself, but concern too for the terrier. Dogs used in the hunt, when misused by man are victims too. Little consideration was given to Foxhounds in the recent debate on their use. In Scotland last year more Foxhounds were killed than foxes. Soon any dog with hunting-potential could end up being vilified. A sudden law change in Australia recently makes my point. Hunting laws in Victoria allowed the scent-trailing of sambar deer by two breeds, Bloodhounds and Beagles. The hunting is out of conservation concerns, because the deers' hooves damage the local ground environment and their numbers need controlling. A local hunter-conservationist imported some Kerry Beagles out of regard for their ability to do the job most effectively. The law was then immediately amended so that the permitted hound breeds had to be breeds recognised by the Australian National Kennel Club. The Kerry Beagles, despite their superior hunting prowess, were thereby forbidden from use in sambar control. This could not have been on size grounds, the Kerry Beagle is far smaller than the permitted Bloodhound. It could not have been on any 'fit-for-purpose' argument, the Kerry Beagle is a perfect choice for such a task. It could however have been blind prejudice, the Kerry Beagle is used in Ireland for a style of hunting which is frowned upon by some activists in Australia. The most effective way to control sambar deer, on conservation grounds, has therefore been prejudiced by a misapplied dislike of hunting field use somewhere else, with superlative hounds. Those concerned about animal welfare will probably look away when the imported Kerry Beagles are destroyed. But breeds can also be threatened by unwise claims from their fanciers. The Thais are very proud of the Thai Ridgeback. In a leading article in the Sunday Bangkok Post recently, the breed was described in glowing terms, but these included some very unfortunate phrases. The article states that "If its opponents are human, the dog's preferred targets are calves, buttocks, genitalia and the stomach". I dread to think how many Thai Ridgebacks outside Thailand could have their lives put at risk, when such words are quoted and as breed-specific legislation ripples ever outwards. No such claim has ever been made for the Dogo Argentino, the Fila Brasileiro or the Japanese Tosa, but they are still threatened with destruction if they are imported into the UK. In so many very different spheres, when man gets it wrong, dog dies. One informed estimate has indicated that, when every dog-handling agency is accounted for, as many as 50,000 dogs could be destroyed each year in Britain. It is the usual practice to describe such killings as 'humane destruction', but there is nothing humane about it. Every one of these dogs was bred by humans for humans. Some of these dogs were killed because of their undesirable temperament. But tell me of a dog-breeder who breeds primarily for temperament. Some would have been killed because they were judged by 'experts' from our leading animal charity to closely resemble dogs bred for fighting. Would such a brainless criterion ever be applied to humans in any sane judicial system? Some of these unwanted dogs would have come from puppy-farms, a number of which having been funded by tax-payers' money in agricultural diversification schemes. Many would have been casually discarded by heartless owners, without penalty and always at a cost to the nation's finances, mainly local authority or police expenses. Why are we constantly being described as a nation of dog-lovers when we are a nation of dog-killers! Owners of newly-born litters boast when a large number of pups are born, yet they know of the shortage of genuinely good homes for dogs. The Kennel Club boasts of how many newly registered pups come on to their books each quarter; but they are well aware of the dog-welfare problems in Britain. When are we going to acknowledge that too many dogs are being bred and that this in itself creates an animal welfare problem? I have nothing but admiration for those admirable souls who commit themselves selflessly to rescue work, but, because we aren't addressing the problem, their task gets harder not easier each year. I will always try to support the impressive work of organisations like the Dogs Trust, the PDSA and the Blue Cross. But their burden is the direct result of our national willingness to ignore the problem. Sensitive souls express justified disgust about bull-baiting, badger-drawing, bear-baiting and legal dog-fighting in times past, but when more dogs are killed now each year than in the barbaric era, there is just a mute acceptance of the fact. It would take a brave man to stand up and demand an end to uncontrolled dog-breeding. Would our inalienable right to breed a litter of pups not be reconsidered if every single one of us exercised that right? If the answer is yes it would be, then that can only mean that it is not a matter of principle at all. Why does the Kennel Club admit exotic breeds from faraway places to their register when we can't care for our native breeds? Was it truly in the best interests of the Maremma Sheepdog of Italy for it to be brought here? 90 were registered with the KC in 1989, only 17 in 2004. A similar fate awaits the Hungarian Kuvasz, Komondor, the Italian Bergamasco, the Cirneco dell' Etna, the Grand Bleu de Gascogne and the Bavarian Mountain Hound. Kennel Clubs should be even more responsible, given their self-imposed mandate, than the public. How has the breed of Maremma Sheepdog been improved by its importation here? I would praise the Kennel Club if, at their annual show, a record number of exhibits were graded excellent. I do not believe they deserve my praise when foreign breeds are registered with them and then allowed to fade away once the novelty factor has worn off. More pedigree dogs are now being destroyed each year in Britain than ever before. This is condoned recklessness not dog-care. There is already a need for rescue organisations for the Japanese Akita, the Alaskan Malamute, the Australian Shepherd, the Basset Griffon Vendeen (Petit), the Belgian Shepherd, the Bouvier des Flandres, the Giant Schnauzer, the Dogue de Bordeaux, the Neapolitan Mastiff, the Italian Spinone and the Weimaraner. All of these are relatively recent introductions and already there are welfare problems. I was told a month or so ago of an import which within a few months of leaving quarantine had bitten seven different people. The humans recovered; the dog died, echoing the words of Oliver Goldsmith three centuries ago: The man recovered of the bite, The dog it was that died. It has become just too easy to import a dog, breed a litter, sell a pup. It is clearly becoming more difficult to look after dogs properly and it is not easy to see a way out of this dog-threatening situation. If the government could be persuaded that far too many dogs are being bred, they would, perhaps understandably, look towards the Kennel Club, a national canine organisation and the RSPCA, our principal animal charity, for solutions. But you only have to look at the shameful Dangerous Dogs Act to see the dangers in that. The DDA embraces breed-specific legislation and both those bodies had a major role in the drafting of this despicable Act. The Home Office regards the Kennel Club as an organisation 'concerned with breeds of dog'; for the KC to help frame this unfair law in that role can only mean that it supports breed-specific legislation, whatever their stance now. The RSPCA, now dubbed by some the Royal Society for the Persecution of Canine Animals, is experienced in dealing with dog-fighting but has little knowledge of breeds of dog. Why should we trust either body to act effectively in any attempts to reduce the number of dogs being bred and subsequently being destroyed? For us all to sleep contentedly in our beds at night knowing that around 136 dogs have been destroyed that very day is not admirable. But tomorrow is another day, a day to over-euthanise but still over-produce - or to kill a docile blameless Irish Staffie pet dog solely because it resembles a different dog. For a nation which 'humanely' kills so many dogs, shame on us.